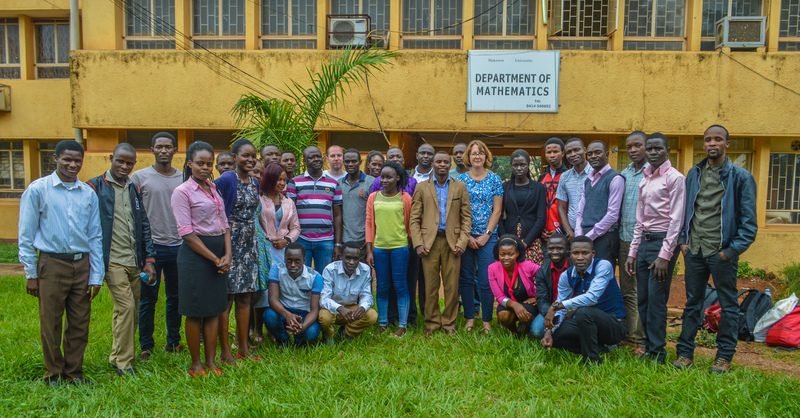 On 13-14 October, Liz David-Barrett ran a workshop together with the Department of Mathematics at Makerere University, Uganda, and the African Maths Initiative on Analysing Corruption Risks in Procurement Data. The workshop brought together top Maths and Statistics students with civil society experts on anti-corruption in Uganda to analyse data and look for ‘red flags’ of corruption risk. As well as using open-source statistics software R-Instat to analyse our dataset of World Bank-funded procurement, the participants were able to work with our new dataset of Ugandan budget-funded procurement, which we are in the process of finalising. Moses Ojambo, Director of Policy and Capacity Building at the Public Procurement and Disposal of Assets Authority, also gave up his Saturday morning to talk to us about the PPDA’s work and to interact with the students and activists. The participants worked in groups on their own analyses on the second day, developing research questions and using R-Instat to investigate them. They made great progress, and were particularly interested in comparing use of different procedure types across sectors and in cross-country comparisons of Uganda, Kenya, Tanzania and Rwanda.